Child sexual abuse is a startlingly common crime and every parent’s worst nightmare. It can be an even more worrisome topic for Solo Moms, since some perpetrators gain access to children by helping out while others position themselves as volunteers and employees in organizations that provide academic enrichment, athletic opportunities, and spiritual growth for kids. The easiest way of talking about child sexual abuse with children is to warn them about strangers. However, so-called stranger danger discussions can sometimes do more harm than good. Such conversations give children the impression that strangers are dangerous and people they trust are safe. In reality, most perpetrators of sexual abuse are people in positions of trust. Perpetrators take a lot of time grooming their victims, a process that often masquerades as relationship building and genuine care. Admitting that perpetrators appear trustworthy can feel very disempowering, as parents like to think they will be able to spot danger and protect their children. Perpetrators also groom the parents of their victims, charming their way into families. Many take advantage of Solo Moms, functioning as an ostensibly virtuous male role model and source of much-needed help. Here are a few pointers to keep in mind when talking to your child about this uncomfortable topic. Even if you haven’t talked about sexuality with your child, you can still talk about sexual abuse. It is an important conversation. A lot of parents are so uncomfortable with the topic of sexual abuse that they avoid it to protect themselves. Others are worried about discussing a disturbing topic with their children. 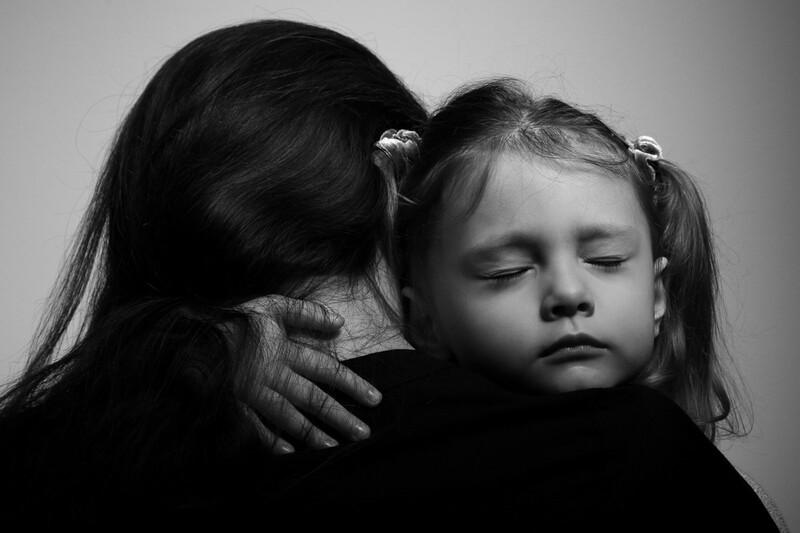 You will not harm your child by talking to them about sexual abuse. Teach consent from a young age. Too often, kids are corrected or labeled rude if they refuse to hug and kiss relatives. If Grandma wants a kiss, but your child doesn’t, that is a great learning moment. Your children should learn from a young age that they are in charge of their bodies and that they never need to feel obligated to provide physical signs of affection. Approach the topic from a perspective of personal safety. Bracha Goetz’s children’s book Let’s Stay Safe (Mesorah Publications, 2011) includes tips about child sexual abuse amid helpful information on crossing the street, wearing a bicycle helmet, and safety in the home. Teach children positive skills. Joan Cole Duffell, executive director of the Committee for Children, suggests framing the discussion in terms of what is healthy, not just what is bad. “Talk to your children about what is safe, good, and healthy touch,” she shares. Work on assertiveness. In school, children are praised for being quiet and silent in class. At home, obedience is rewarded. Teach your children about appropriate assertiveness. Discuss the danger of secrets. Parents assume their children will tell them if they are being abused. Not true. Most children are burdened with so much shame and fear that they will not tell anyone about the abuse they are suffering, particularly because many perpetrators have already aligned themselves with the parent and are considered safe and trustworthy. Let your children know that adults should not ask them to keep secrets. Your child might feel comfortable disclosing to you that an adult asked him or her to keep a secret, even when they are too uncomfortable to talk about sexual abuse. Be careful in how you talk about alleged victims. Since perpetrators often are esteemed members of their communities, many rally to their defense when allegations of abuse surface. Sometimes, this takes the form of maligning the alleged victim. That type of discourse and rhetoric discourages reporting and disclosure from other potential victims. You cannot protect your child from everything, but you can reduce the risk of your child becoming a victim of sexual abuse. Ignoring the topic or focusing solely on “stranger danger” discussions are counterproductive. For more strategies and information, check out this helpful video from the Committee for Children.